“Der Knabe im Moor”, Part III: German original, and an English translation. 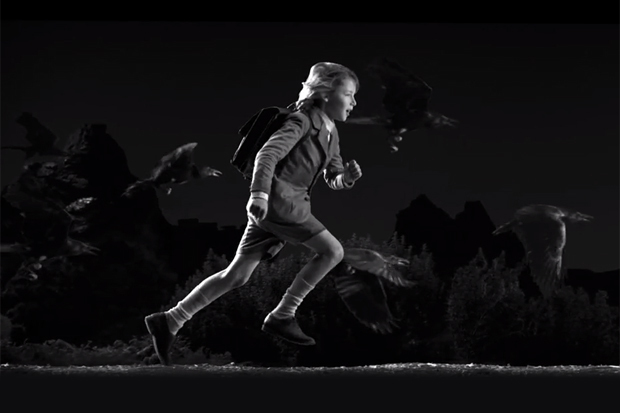 Woodkid’s “Run Boy Run” video kind of reminds me Droste. In fact, the sequel video, “I love you”, reminds me of “Kubla Khan”. But that’s just me, right…? By Annette von Droste-Hülshoff, 1842. The original poem, as it appeared in a the German Morgenblatt. Wenn das Röhricht knistert im Hauche! Was raschelt drüben am Hage? Hu, hu, es bricht wie ein irres Rind! Und wie es rieselt und knittert darin! Die den Haspel dreht im Geröhre! Voran als woll’ es ihn holen! Der Knabe steht an der Scheide. O schaurig war’s in der Heide! I am not sure about the legal status of this translation, but I am glad it was posted on Linda Hines’ blog, as the translator turns out to be Charles Wharton Stork. Stork, a rather obscure literary figure, worked for several poetry-related magazines from the 30s to the 70s, and is now all but forgotten. Out of respect to the man’s work, I posted a biographical note I found after the text by Droste-Hülshoff, but I am not I will be able to confirm that this is the person in question. When the tangled reed-beds rustle. There’s a noise in the hedge-row stunted. And for drink his master’s turf he sells. The poor boy’s courage is daunted. Through a jungle of spear-grass pushes. Who turns her wheel ‘mid the rushes. And the sounds from beneath are many. Who ran off with the bridal penny! ‘Tis poor damned Margaret crying! Where his little bleached bones were lying. And in his glance is the fear of death. Ah, that was a place to dread, O!